iGuzzini recognized among the "Best Managed Companies"
iGuzzini illuminazione received the "Best Managed Companies" award today. With this award Deloitte, one of the world's largest service companies, recognizes Italian companies that stand out for their strategy, skills and commitment towards people and company performance. The awards ceremony, which took place in the splendid setting of Palazzo Mezzanotte, Italy’s financial centre, has decreed the closure of the first Italian edition of this initiative promoted by Deloitte and supported by ALTIS Catholic University, ELITE (London Stock Exchange project Group that supports the development and growth of high-potential companies) and Confindustria. Starting in November 2017, the company selection process began with an assessment phase during which the candidates were supported by Deloitte professionals in the analysis of critical success factors such as corporate strategy, distinctive skills, governance structure able to manage family and professional management, commitment and financial performance. At the end of the evaluation process, iGuzzini was declared among the winners by a jury composed of Francesca Brunori, Head of the Credit and Finance Area of ​​Confindustria, Lorenzo Ornaghi, former Rector of the Catholic University of the Sacred Heart, and by Marco Vitale , economist and founding partner of VitaleZane & Co.
Andrea Sasso, iGuzzini CEO, and Massimiliano Guzzini, iGuzzini Vice-President and Business Innovation & Networking Director were present to receive the award. 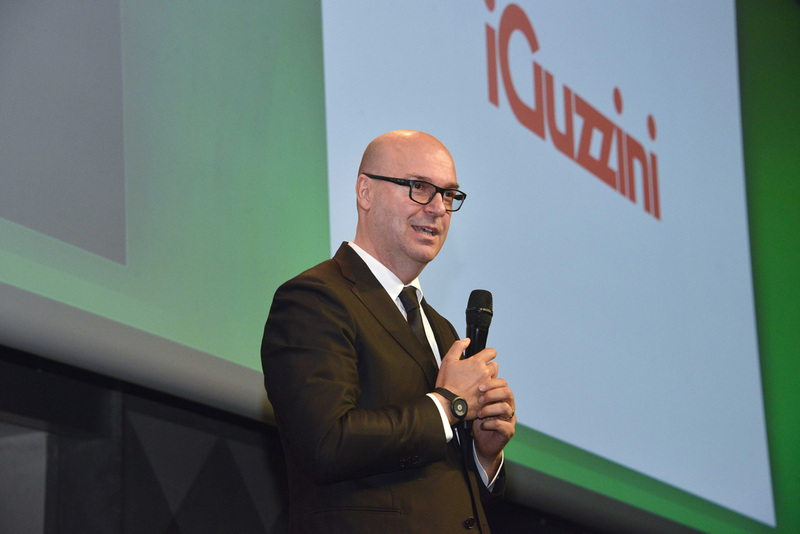 "Being recognized among the best managed Italian companies is a source of pride for us because our company has always invested in research and innovation to promote the excellence of Made in Italy all over the world" commented Massimiliano Guzzini. "The primary goal of iGuzzini is to improve people's well-being with light, and this new recognition represents the confirmation that the path we have chosen is the right one". The value of a company" continued Andrea Sasso "is not only determined by the results in terms of numbers, but also by the ability to discover, create and enhance talent, encouraging people to contribute concretely to a corporate ecosystem based on collaboration and mutual trust, a large family where everyone has an important role and a voice of their own".